If you think your gutter system may require a rain gutter guard, turn to the leading exterior home remodeling company serving Placitas, New Mexico – ABC Seamless of Albuquerque. Our team will work tirelessly to prevent your gutters from experiencing leaks, cracks, blockages, or any other breaks, as a method to counter any damage your home may experience from overflowing water. 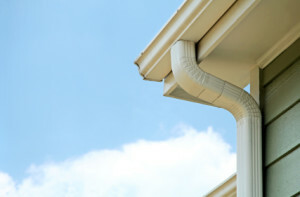 Furthermore, if you require a brand-new gutter system for a new installation or replacement, we can provide you with that as well. Our durable steel gutters make an excellent complement to our rain gutter guard options and will leave you completely protected from unwanted debris, such as leaves, pine needles, and nuts. For more information about the rain gutter guard selection offered by ABC Seamless of Albuquerque to homeowners in Placitas, NM, and the surrounding areas, contact us today. Feel free to ask about our excellent financing options available to all homeowners that qualify.